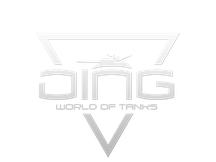 The reigning European champions DiNG have been taking the major League in their stride all year – both WGLEU Seasons, the Challenger Rumble in New York… Could they soon be destined for even more glory in Moscow? "We landed in the so called "group of death", so already the start will be really challenging for us, but I feel confident and I think we can beat everyone in our group with enough preparation. The training plan is good at the moment, even though we lost some training partner opportunities due to our group and playoff schedule. The biggest threat is obviously Na'Vi in the group stage, and if we don't manage to win against them, then we may face Tornado Energy. The way it has worked out for us is unlucky since we will meet one or even both of these giants before the semi-finals." As they are one of the best teams in the world, we asked DiNG to give us a few simple pieces of advice on one specific aspect of the game. This time, we decided to discuss crew skills on one tank in particular. So let’s take a look at what DiNG’s Schockisch would pick for a cost-effective T110E5 build! "I personally would go without re-skilling, because I don't like spending gold on it, and losing EXP by re-skilling with credits is not an option for me."